Large seed size is a trait associated with plant species of mature, closed habitats, and is thought to supply an ample nutrient reserve necessary for seedling establishment. While this relationship has been shown for annuals and short-lived perennials, it is poorly documented for trees. A comparative method was used to determine whether North American temperate tree species which typically establish in shady conditions have larger seeds than those requiring more open conditions. Both angiosperms (hardwoods) and gymnosperms (conifers) were involved in the study. A significant relationship was found between large seed mass and shade-tolerance for angiosperms, but not for gymnosperms. 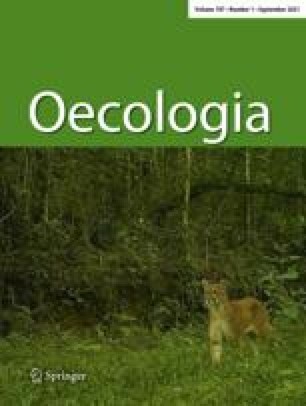 These contrasting results seem to relate to unique evolutionary opportunities or constraints in different taxa. The absence of a relationship for gymnosperms is discussed in terms of character traits which might prevent seed size selection in response to shade. The finding for angiosperms underlines the importance of the regeneration niche in promoting coexistence among temperate hardwood species through seed size differentiation.